Frequently I’ll run into the case where my IDE (Intellij, Xcode/Vapor) will fail and leave a web server running on a port. I can’t start it again because it is already running. The only way to proceed is to restart your computer or find and kill the process. To find the a process running on a port you can use the lsof command. You can filter with “-i”, which lists IP sockets. It is one of my favorite tools for debugging network applications. It supports Mac, Windows, Linux and even iOS. 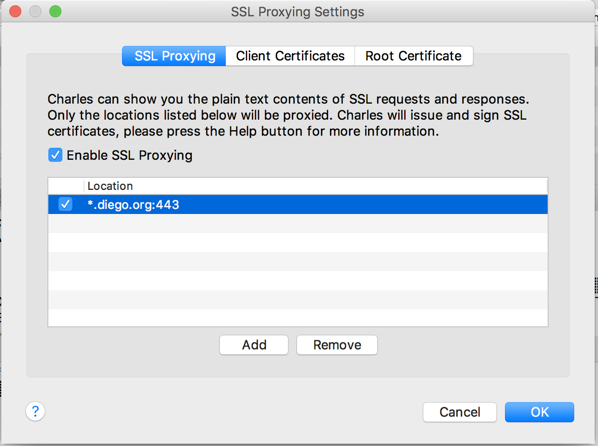 The instructions on their website for SSL connections from within iPhone applications are not quite complete. Especially the last step which is tricky and I often forget. 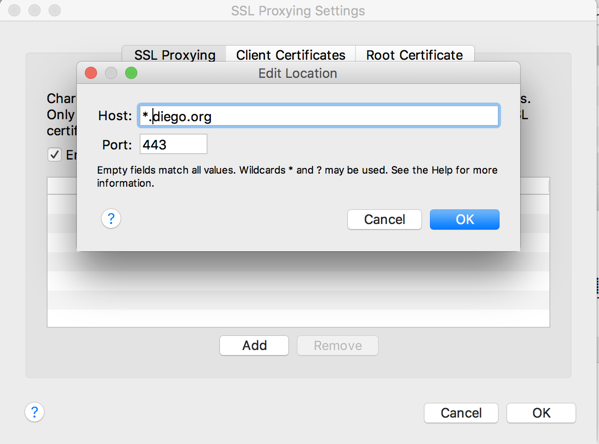 Here are complete instructions for SSL proxy connections on the iOS Simulator. 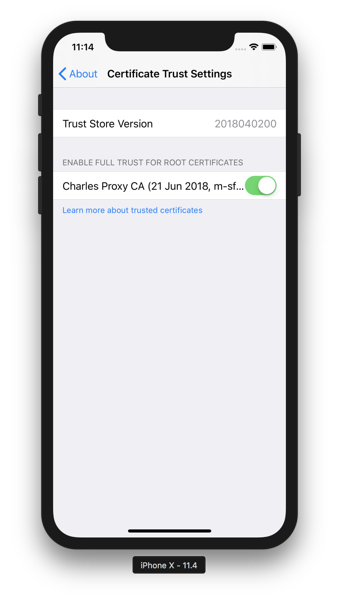 This will install the Charles Root Certificate on the Simulator. 3. 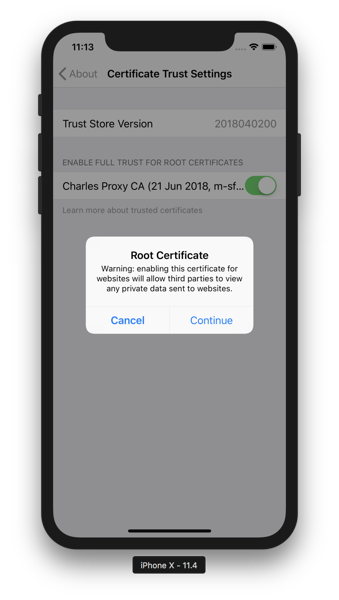 Enable the Root Certificate. This is the step, they forget to document. And the last part of it is tricky. Now is the critical part. Quit the Simulator. Now run your application again and Charles will be able to decrypt your network communications. macOS has a feature that lets you change the word delimiter. By default it considers the “.” to be part of the word and selects the whole thing. But you can change it to break on the period. This feature used to be called “Word Break” in previous macOS release. 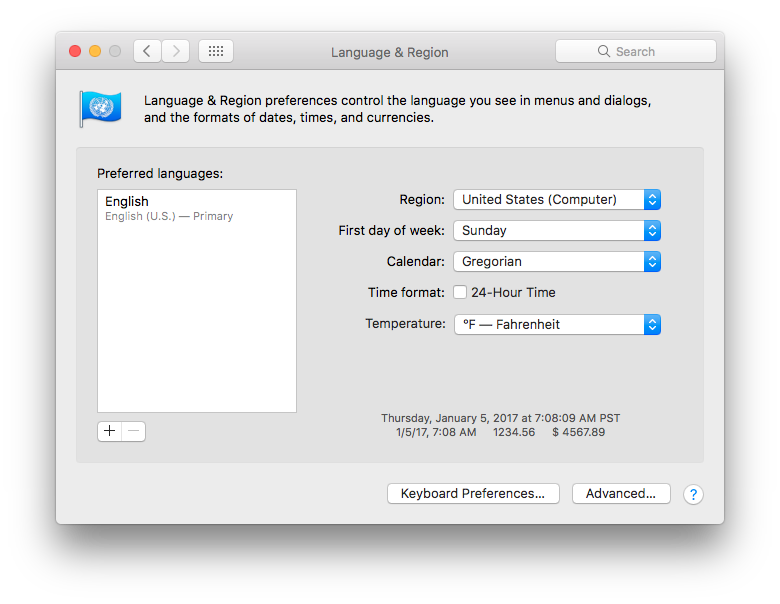 In macOS Sierra it can be found by going to “System Preferences” and selecting “Language & Region”. Here you’ll see an option for “Region”. If you’re in the United States, it should be set to “United States”. You can change it to “United States (Computer)”. If you change the word break setting, you have to quit and reopen applications to apply the changes. Note: I found this tip a few years ago and used it on my Mac. After getting a new Mac, it took me awhile to figure out how to do this again. This post is a reminder to myself for next time I need to remember how to do this. One of my favorite features of Alfred 2 for Mac is typing “Lock” to lock the screen. When I switched back to using Spotlight, I missed this feature. I created a Mac app that would lock the screen when launched. You can now type “Lock” in Spotlight to lock the screen or put it in the Dock and lock the screen with one click. I recently bought at Western Digital My Book 1 TB Hard Drive for my MacBook Pro. I wanted to use it for Time Machine backups, which meant that I needed for format it as Mac OS Extended. It came pre-formatted as FAT. 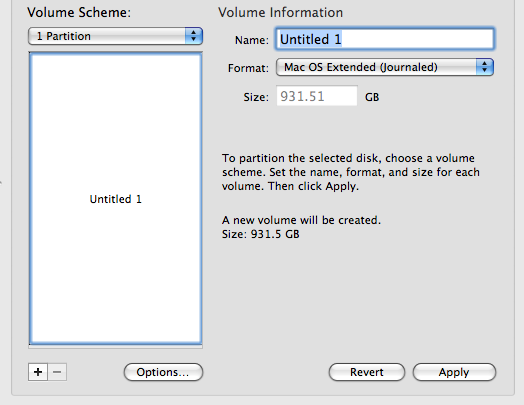 I used Disk Utility to partition it and got an error a few seconds into it. The error window said: “Partition failed. 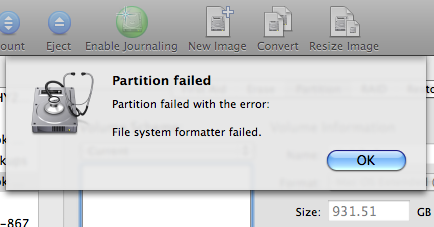 Partition failed with error: File system formatter failed”. I’m not exactly sure the reason why, but Mac OX has an issue with a “Master Boot Record” bigger than 512mb. Luckily the solution is easy. 1. Open up Disk Utility. 2. Select your drive on the left hand side. 3. Then click on the “Partition” tab. 5. Then click on the “Options” button. 6. Here is the important part. 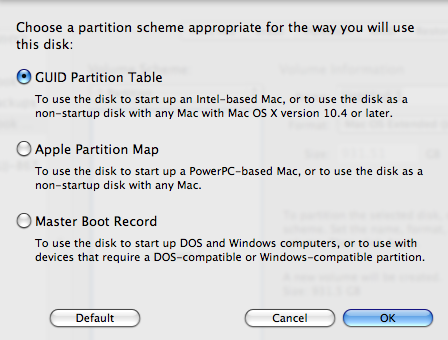 Choose “GUID Partition Table” instead of “Master Boot Record”. Then click “OK”. 7. Now click “Apply” to start the partition process. That’s it! The other day, I opened my MacBook Pro a few hours after closing the lid and putting it to sleep. It wouldn’t wake from sleep. I tried several things to get it to try and wake up, but had no success. This has happened a couple times in the past, and I usually just hold down the power key to restart it. So that is what I did. When it started back up and loaded the login page, I noticed something strange, my user was missing. I have 4 user’s registered on my computer and now only 3 of them were showing. So I logged in as one of the other users who an admin. Upon login, I could see that my user’s account still existed on disk: /Users/doug When I went to the System Preferences, I did not list my user. I wasn’t sure what was wrong. I opened up doug.plist and found that it was a binary file. I could read some of the text in there and saw some mention of “Kernel” and other thing that suggested a stacktrace or dump. I opened up the plist for another user and found that it was standard XML. So I copied the doug.plist from my Time Machine backup and replaced it with the one on my laptop. I rebooted and my account was restored. Have at least one other Admin user on your computer you can login to if all fails.